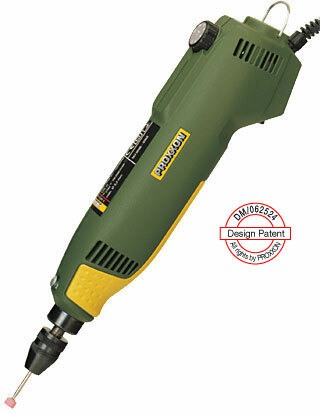 Precision drill/grinder FBS 240/E Strength comes from quality! 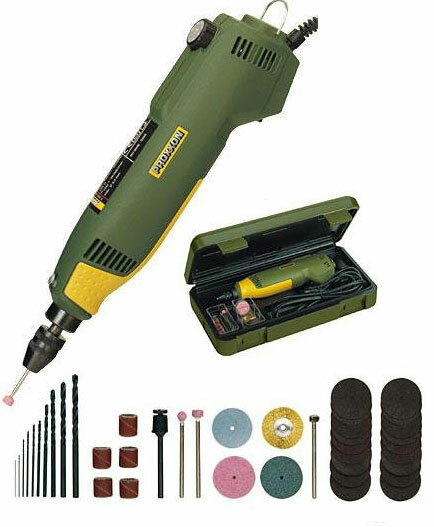 For milling, drilling, grinding, polishing, cleaning, carving and engraving. The maximum speed of 20,000rpm is continuously variable down to 5,000rpm. The full wave electronic speed control results in virtually constant torque, even at lower speeds, in turn facilitating micro drilling, cleaning and polishing. The spindle runs in a precision ball bearing and is lifted with a lock button. The 20mm collar fits MICROMOT drill stands and vices. Fitted with a special, balanced low noise DC motor with high life expectancy. Stable housing of glass-fibre reinforced POLYAMIDE with soft components in the finger grip area. 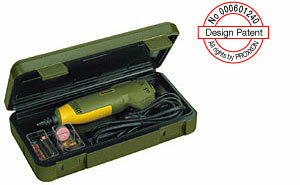 Supplied complete with 43 quality bits and cutters in a sturdy plastic case. 5,000 - 20,000rpm. Maximum power consumption 100W, 220 - 240V. Length 200mm. Weight 450g. Insulated to class 2 requirements. Keyless chuck 0.3 - 3.2mm capacity. in a durable polypropylene case. The FBS 240/E may also be fitted with the optional MICROMOT steel collets. 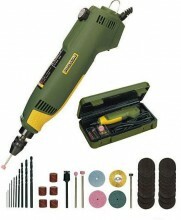 Click the button below to add the Precision Drill/Grinder FBS 240/E. to your wish list.